Warner Bros. Consumer Products, with DC Entertainment, issued the following press release announcing an extension of their partnership with toymaker Mattel. Despite being mentioned in passing, this deal will also include any future animated DC Comics-based productions, including new animated television productions. DC Entertainment is planning a strategic multi-year roll-out of many of their big properties, with animated projects expected to be part of the event. Continue below to view the press release. Warner Bros. Consumer Products, with DC Entertainment, announced today that it has once again extended its successful relationship with leading worldwide toy manufacturer, Mattel, Inc. The new multi-year agreement grants Mattel rights to continue as master toy licensee for the entire universe of DC Comics characters. Under the terms of this strategic alliance, Mattel is granted unprecedented access to the complete breadth and scope of the DC Comics vault of characters, which includes more than a thousand world-famous DC Comics Super Heroes and DC Comics Super-Villains, such as Batman, Superman, Wonder Woman, The Flash, and The Joker. The deal continues Mattel’s support of the universe of DC Comics characters across its entire portfolio of core brands, including Hot Wheels®, Matchbox®, Barbie®, Mattel Games and Fisher-Price®. In addition to the rights to utilize existing DC Comics characters and existing content, the extension includes Mattel’s rights to produce toys based on future DC Comics films, animation and television projects that are developed and produced during the term of the agreement. Mattel is set to develop toy lines for two of Warner Bros.’ most highly anticipated theatrical releases: the summer 2016 release of Batman v Superman: Dawn of Justice, and the recently announced Justice League film, to follow. The dominance of DC Comics storylines in the world of television has enabled Mattel to develop product based on the Warner Bros. Television primetime series Arrow, entering its third season, and brings new opportunity with the upcoming live-action series The Flash. Mattel will also have the opportunity to create product with newly announced DC Comics–based television series Gotham, Constantine and iZOMBIE, which will all debut during the 2014–15 television season. During its nearly 15-year partnership with WBCP, Mattel has created and delivered a number of successful toy lines that bring the fun, action-packed heroism and excitement of DC Comics’ characters to life, including top-of-the-line action figures, vehicles and role play accessories across all DC Comics brands, including tentpole films The Dark Knight Trilogy and the 2013 release of Man of Steel; to the vintage-styled line in support of the 60’s BATMAN™ Classic TV Series. Mattel’s Batman evergreen lines, Fisher-Price DC Super Friends Imaginext line, Hot Wheels® brand, as well as the multiple DC Comics Super Heroes action figure lines, together illustrate the commitment and success Mattel has had with the DC Comics brand over the years. “We look forward to continuing our strong relationship with Mattel and the Warner Bros. Consumer Products teams to collaborate on compelling product lines that support the many exciting DC Comics initiatives slated for the coming years including film, TV, games and comics,” stated Diane Nelson, President of DC Entertainment. Driving its core Batman business, WBCP and Mattel continue to maintain the momentum for the ultimate Super Hero with its exclusive evergreen Batman brand that has come to life in toys and at retail. This year, Mattel has released new and exciting products in the evergreen Batman toy line, including the Lights and Sounds 10ꞌꞌ Core figures, Hot Wheels® Batmobile Assortment, Batman Basic Figures, the all-new Batman 12″ Figure, as well as additional figures and characters to augment the assortment. Mattel has reinvigorated their collector offering with the new 6ꞌꞌ Total Heroes™ line for the gateway collector and the 3¾ꞌꞌ DC Multiverse line of hyper-detailed action figures for the more serious collector – both lines launched this year. Fisher-Price continues to introduce the world of DC Comics to the next generation with their popular DC Super Friends pre-school line. Part of the Fisher-Price Imaginext line, DC Super Friends has proven to be incredibly successful in the U.S., U.K., Brazil, Mexico, Australia and Spain, as it continues to expand across Europe with its recent debut in German, and globally. Stay tuned for additional news and updates right here at The World’s Finest. The “Batman 75” animated short “Batman: Strange Days,” which debuted earlier this week on Cartoon Network, is now available wide for all online outlets. “Batman: Strange Days” was storyboarded, written, produced, and directed by renowned animator Bruce Timm (Batman: The Animated Series, Superman: The Animated Series, Justice League Unlimited, DC Universe Animated Original Movie titles). The nearly three-minute short-form adventure provides an animated look at the original 1930s-era Batman. “Batman: Strange Days” was created under the DC Nation animated shorts banner to celebrate the 75th anniversary of Batman’s first appearance in the 1939 comic Detective Comics #27. Click on the player below to view the animated short. “Batman: Strange Days” debuted Wednesday, April 9th, 2014 on Cartoon Network and was then released wide to all media outlets later in the week. Additional stills and production details for the animated short can be found at The World’s Finest. “Batman: Strange Days” is part of the year-long “Batman 75” celebrations, commemorating the 75th anniversary of Batman’s first comic book appearance. More details on “Batman 75” can be found here. DC Nation, featuring new short-form animated stories and behind-the-scenes content starring a host of DC Comics characters, airs Wednesday nights on Cartoon Network during the commercial break following new episodes of Teen Titans Go!. Stay tuned for further schedule updates and coverage on the DC Nation programming block – including exclusive content and much more – right here soon at The World’s Finest. Discuss “Batman: Strange Days” at The DC Animation Forum! Warner Bros. Entertainment and DC Entertainment have issued a press release announcing initial details for the company’s plans to celebrate the 75th anniversary of Batman’s first comic book appearance. Plans include multiple home video release, animated features, and special initiatives. Since his creation and first published appearance, Batman has become arguably the most popular comic book character across the world. Highlights from the press release include special promotions for upcoming Batman-centric animated movie titles Son of Batman and Batman: Assault on Arkham, new DC Nation animated shorts by Bruce Timm and Darwyn Cooke, and special home video releases. Further details and the first look at the Batman 75 commemorative logo can be found below. To mark the milestone 75th anniversary of DC Comics’ Batman, Warner Bros. Entertainment and DC Entertainment have revealed plans for a year-long celebration befitting the world’s most popular Super Hero. Highlights of the anniversary program, which starts today, include a new commemorative 75th anniversary Batman logo and an exclusive “Cape/Cowl/Create” art exhibit, featuring 20 contemporary artists’ interpretation of The Dark Knight’s iconic cowl headpiece and cape from the upcoming Batman: Arkham Knight videogame. There will also be 75th anniversary-related activities across all of Warner Bros. Entertainment throughout the year. First appearing in the comic book Detective Comics #27, which hit newsstands on March 30, 1939, featuring artwork by Bob Kane and a script by Bill Finger, Batman emerged from the shadows to become the world’s most popular Super Hero and dominate all media. In feature films, TV shows, radio, video games, publishing and merchandise, this most human of Super Heroes has battled some of fiction’s greatest villains using his intellect, cunning and an arsenal of gadgets to further his quest for justice. Batman is the single most successful Super Hero film franchise in history and there have been more theatrical movies released based on Batman than any other comic book character. In video games, the Batman Arkham franchise is also the most successful Super Hero game concept ever. Batman consistently breaks records in every incarnation of his character and remains the gold standard by which all other comic book sales are measured. The first published adventure of The Bat-Man (as he was then known) was in the May 1939 issue of Detective Comics #27, conceived of and drawn by a 22-year-old Kane with his frequent collaborator, Bill Finger, scripting the story. The character was so successful, that one year later the first comic book devoted exclusively to the Caped Crusader’s adventures, Batman #1, hit newsstands. In that issue, Batman battled The Joker and Catwoman for the first time. Now, DC Entertainment and the Studio’s various divisions, including Pictures, Television, Animation, Interactive Entertainment, Home Entertainment and Consumer Products, will mark this extraordinary 75th anniversary with a range of highly anticipated events and products. The new commemorative logo, also released today across social media and websites, takes its cue from the famed Bat symbol, and features block-style lettering of “75 Years.” The mark will be rolled out on Batman-related promotions, products and initiatives. *DC Entertainment – DC Entertainment has an action-packed year filled with new Batman titles, commemorative issues and variant covers, including the recently released special edition of Detective Comics #27 commemorating Batman’s first appearance in the book in 1939, the new weekly series Batman Eternal launching April 9, and upcoming exclusive Batman variant covers planned for San Diego Comic-Con International in July. *Batman Day – DC Entertainment is also partnering with thousands of comic retailers, book stores and libraries for “Batman Day” on Wednesday, July 23. Each location will host a Batman 75th anniversary celebration and offer fans a free, special edition Batman comic. *Interactive Entertainment – Warner Bros. Interactive Entertainment has invited celebrated fashion designer Asher Levine to create a cape and cowl based on the Batsuit of the recently announced Batman: Arkham Knight videogame developed by Rocksteady Studios. Favorite contemporary artists will have the opportunity to use the replicas as a blank canvas to produce their own, original interpretations of Batman’s iconic attire for an all new “Cape/Cowl/Create” art exhibit that will be showcased at San Diego Comic-Con International in July. *Home Entertainment – Warner Bros. Home Entertainment will bring fans an array of new Batman titles throughout the year, including the highly anticipated release of the Batman ’66 TV series for the first time ever. 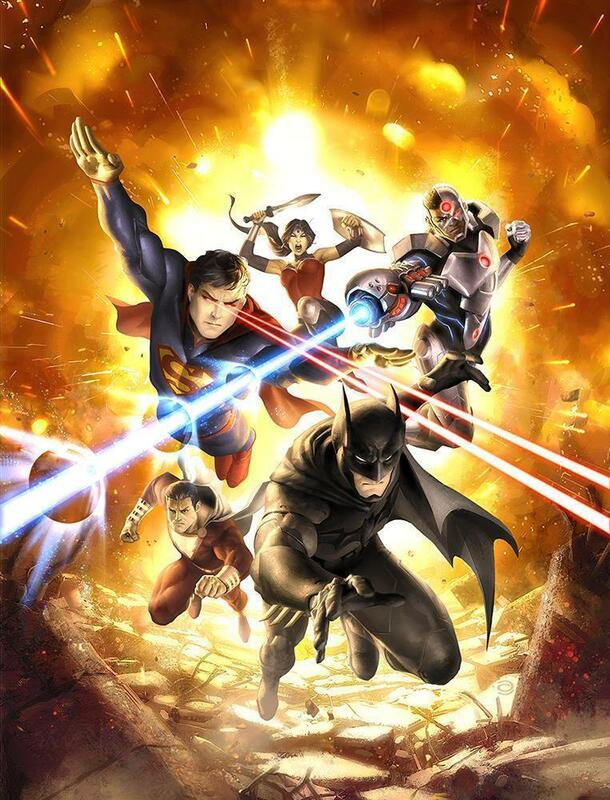 Other new releases include animated films Son of Batman (May 6) and Assault on Arkham (summer 2014). Additionally, a 25th Anniversary Edition of Tim Burton’s Batman feature film will be released in the fall. *Animation – Warner Bros. Animation has created two all-new Batman animated shorts set for debut in April, with fan-favorite producers Bruce Timm (Batman: The Animated Series) and Darwyn Cooke (Batman Beyond) each presenting a unique and familiar take on the Batman animated universe. In addition, Timm will participate in a Batman 75th all-star panel at WonderCon in Anaheim on Saturday, April 19, which will also feature an exclusive premiere of Cooke’s animated short based upon Batman Beyond. *Pictures – As Batman’s 75th anniversary is celebrated in 2014, Warner Bros. Pictures will begin production of Zack Snyder’s untitled Superman/Batman film starring Henry Cavill, who reprises his role as Superman/Clark Kent, and Ben Affleck as Batman/Bruce Wayne. The film, slated for release summer 2016, will bring the two most iconic Super Heroes of all time together for the first time on the big screen. *Consumer Products – Warner Bros. Consumer Products has partnered with an array of licensees to celebrate Batman’s 75th Anniversary through special edition and limited-release products. From the classic 1960s TV series to modern day comics, Batman’s presence will be larger than ever in celebration of his legacy through everything from toys to t-shirts. *DCComics.com – For the latest information and exclusive content celebrating Batman’s 75th anniversary, visit www.Batman75.com. The dedicated section on DC Comics’ website launches today with the Batman 75 Sweepstakes which offers one lucky fan a one-of-a-kind prize package. The World’s Finest was the first website to report on the forthcoming Batman Beyond DC Nation animated short, as confirmed in the press release above. Additional initiatives and promotions will be unveiled throughout the year. Stay tuned for further updates right here at The World’s Finest, including exclusive content and news.